FULTON, NY – A grassroots organization in Fulton is aiming to revitalize neighborhoods throughout the city while building pride and community camaraderie. 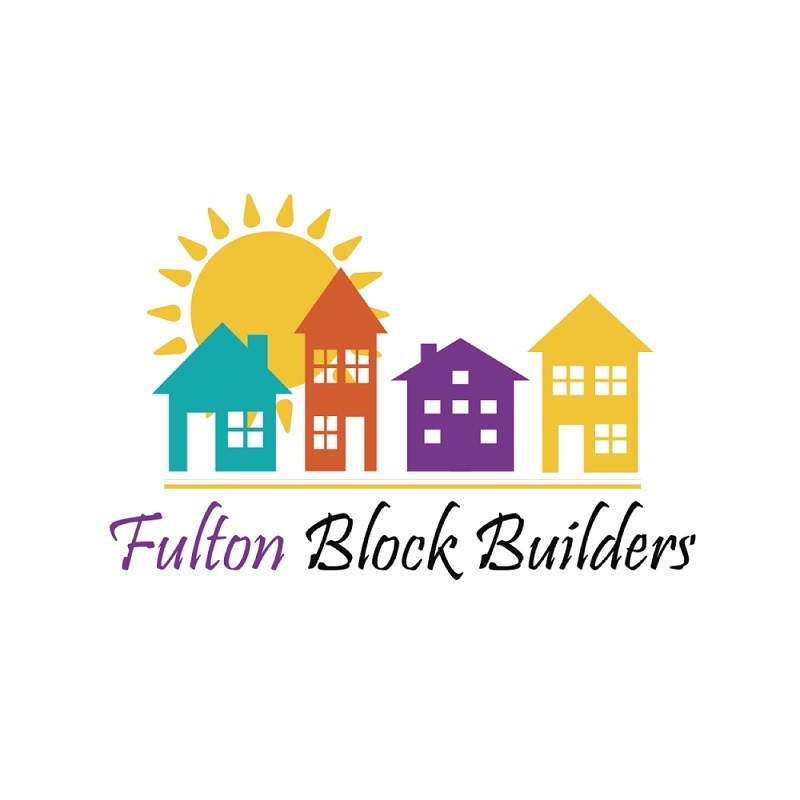 Based on the Healthy Neighbors Initiative, the Fulton Block Builders is a neighborhood revitalization program with modern conveniences that allow homeowners to target exterior home improvements for multiple houses on a one block stretch. “It’s got history and it’s got success behind it,” said Linda Eagan, Administrative Director of Fulton Block Builders, siting cities across NYS and the country that participate in similar initiatives including Fulton’s neighboring city, Oswego that has benefited from the Oswego Renaissance Association. Unlike traditional revitalization programs, Fulton Block Builders calls on neighborhood homeowners to come together and collectively make the decision to invest in exterior home improvements out of pocket with a dollar-for-dollar fund match from the organization. The Richard S. Shineman Foundation has committed $100,000 in matching funds to the Fulton Block Builders while community organizations, business and individuals have made tax-deductible donations that have already matched more than half of the funds needed. “I really am quite confident I will get the total match,” Eagan said, with a deadline by May 1, 2017. From there, the process can really begin. “As simply as it possibly can get is that they start to look at all the individual homes in a block, and they look for ‘tipping blocks’ which are blocks that are both healthy and starting to show distress,” Eagan explained. Blocks throughout the city are ranked on an individual basis following a scoring scale ranging from 1-6 with homes in good condition needing minimal work scoring high with a 1 or 2 while houses in severe disrepair or potentially abandoned scoring weak as a 5 or 6. The homes falling in the middle category as a 3 or 4 are ideal properties to consider for participation in the program because “blocks in their present ‘middle condition’ can generally be affordably revitalized in terms of time and money,” Eagan explained. A group of residents, the “Fresh Eye Walkers” reviewed more than 200 homes in four different parts of the city following criteria for ranking including homeownership rates, structural conditions, property maintenance, visibility of the area, potential for strong impact, and neighbor involvement. One prevailing idea behind Fulton Block Builders is to not solely target blocks with abundant weaknesses or boasting strengths, but instead to find neighborhoods that are healthy but have room to develop on their strengths. Under this program, Fulton city residents can apply to participate in the Fulton Block Challenge in hopes of being selected as a “building block” to allow access to revitalization resources including dollar for dollar matching funds up to $1,000, bonuses for corner properties bordering two streets, and discounts from sponsoring hardware stores and garden centers. Working with a historical architect native to Fulton, Susan Arena is developing historic paint pallets that will provide a financial bonus for homeowners that choose to utilize the colors provided. In order to apply, a neighborhood block requires at least 50% participation from homeowners on the block, a designated leader, and the ability to present a level of commitment to the goals of the program and a continued momentum to build neighborhood communication, identity, and pride. In March of 2017, Fulton Block Builders will announce Target Areas of the city that will receive special consideration although any block in the city is eligible to apply. Pre-applications will become available immediately following this announcement and will be due to the program by April 1. After meeting with challenge coordinators, final applications including an outline of the intended work at each house and your plan to continue developing neighborhood identity along with any other resources will be due to the program by May 1. The winning blocks will be announced on May 15, with improvement projects taking place throughout the summer and fall with a completion deadline by the end of October. In effort to benefit every individual in the city, the program is not exclusive to owner occupied homes. Rental properties are eligible to participate in the program but must be with permission and commitment from the home owner. The program accommodates financial differences as well, allowing homeowners to spend any amount up to $1,000 to receive matching funds. “This is about everyone that lives in our community, this is about reengaging our communities, about making a healthy community where people want to stay or consider visiting or hopefully even decide to live here,” Eagan said. Examples of exterior improvements include painting, porch repair, mailboxes, exterior lighting, landscaping, sidewalk repair, and much more. One of the only components of the program upon completion is that each participating neighborhood must host a block party or any other neighborhood event to celebrate their accomplishments together. This reiterates the common goal of revitalizing neighborhoods by strengthening relationships between neighbors to reinstill pride and unity throughout the city. “A house does not fall into disrepair or become uncared for on its own, it’s the homeowner that makes that decision,” Eagan said, noting that as neighborhood values decrease, homeowners in the area tend to make financial decisions that exclude their own home repair or upkeep. “One of the things that this philosophy has found is that in many of the tipping blocks the homeowners could choose to spend their money on their home but the confidence on that being a good investment and paying off for them might be lacking,” she explained. With the development of Fulton Block Builders and the intended goals, Eagan remains hopeful that the program will instill the sense of community pride that makes homeowners desire investing in their homes and neighborhoods. “This is about really creating that confidence and creating that sense of community again. That pride, that is the biggest piece of this,” she said. The landlords who live outside of the city have no interest in investing in the city, or else they would already be caring for the homes they rent. Thank you Linda Egan and her committee for your efforts to build up our city one block at a time. I think we need to think positive and put out best efforts forward! Who is going to be on the selection committee? what if homeowner doesn’t want to spend the money or doesn’t have the money to do the matching funds? Just a few questions that I should have asked Linda today but didn’t get a chance to do. I agree…great plan. Why not include Christmas decorations and lights? Well the concept sounds rosey however the logistics of such are extremely difficult to implement, especially in a city like Fulton. The city has a chronic shortage of motivated homeowners. There are plenty of unmotivated slumlords who live out of the city who have no interest in investing in the city. They get a check from the tenant whether or not the paint looks good or is chipping off the walls. Just take a drive around the city and look at all the properties which are 5 or 6s. The program only provides matching funds up to $1000. $1000 doesn’t go very far when it comes to exterior remodeling. You can put lipstick on a pig but it’s still a pig just the same. It would be a little more encouraging if the program offered matching funds up to several thousand dollars. Lastly, the city has lacks a days a call code enforcement. Without enforcement, there is no way to fight the downward spiral before it gets out of control. The city is already at that point. When you drive through neighborhoods and see plywood over broken windows, that’s probably an indication that the homeowner or renter either cannot afford to repair or doesn’t care. first you roll around while thinking and building up strength to take the first step. Then you crawl and build up the strength/resources to take that first step. As you finally stand and hang on to things to get some stability, you finally just go for it and the first step is taken. I am so glad to see this program come to the point of creating this positive change. Thank you for your hard work. Thank you to Linda Egan and her committee for your hard work in securing a program to improve our city neighborhoods one step at a time. Improving ones house and yard can be catchy to other neighbors and can only improve the looks of our city. Just look at the work that the Reach program did for our city last summer. Regardless of income a little hard work goes a long ways in improving our neighborhoods and is an example for our next generation to take pride in. Thank you for such a positive program. Another one of Fulton’s great Volunteer groups that works hard. Let’s see what happens and how we can help make it work.